British consumers are less trusting of food and retailers in the wake of scandals such as the horse meat affair, according to a new report from NFU Mutual. The 2017 Food Fraud report, which was produced in association with the Food and Drink Federation (FDF), Farma, the British Retail Consortium and the British Hospitality Association, found that of the 2,000 consumers surveyed, one third said that they are less trusting of products and retailers than they were five years ago, compared with only 9% whose trust has increased. Consumers have a high level of perception that fraudulent activity takes place, influencing them to pursue food they can trust. Businesses that are able to adapt and appeal to consumer demands for transparency may therefore be recognised for it, achieving competitive advantage in a tough era for the food market. Confidence in the British supply chain (38%) is relatively high in comparison with foreign supply chains, but this trust is still only represented by under half of the population surveyed. Only 12% have confidence in the European food chain and less (7%) in the global chain – raising interesting questions about how consumer attitudes may suffer post-Brexit. In a different study conducted by NFU Mutual in July 2017, 99% of consumers we surveyed said that they would buy more British or local food if retailers made it easier for them, with almost half (49%) considering products to be ‘most British’ when the ingredients are grown here. 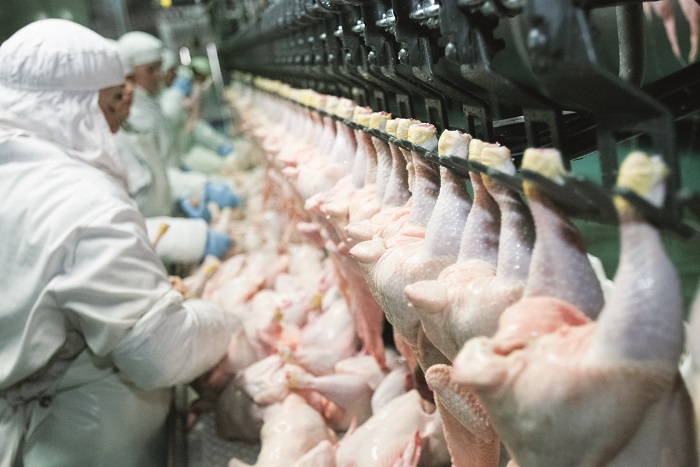 ‘The most important thing is that the food industry as a whole is policing its supply chain, to encourage genuine and lasting consumer confidence,’ the report stated.